W. P. “Bill” Kinsella was a legendary fiction writer, best known for his award-winning novel Shoeless Joe, which took on a new life as the movie Field of Dreams. The author’s inspirational words, which defined the novel and the film—“If you build it, they will come,” “Go the distance,” and even “Field of dreams”—have taken their place in literature’s lexicon of ideas. Ironically, Kinsella had originally called the novel Dream Field, a choice which was overruled by his editor of the day. In addition to Shoeless Joe, a romantic, magic realism baseball novel, Bill wrote other fiction in that genre, such as The Iowa Baseball Confederacy, Magic Time, If Wishes Were Horses, and Butterfly Winter. 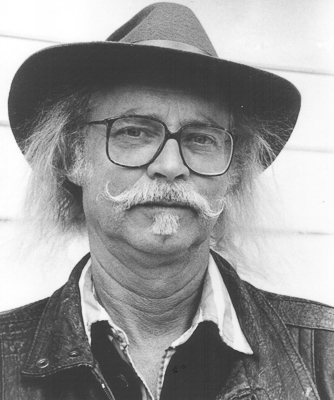 Bill Kinsella also wrote numerous baseball short story collections, the fictional Hobbema Indian Reserve stories, and two rollicking, rambling fictional accounts of life during the Great Depression on the prairies (Box Socials and The Winter Helen Dropped By) which involve a little bit of baseball and a whole lot of fun. “Lieberman in Love”, a short story from the book Red Wolf, Red Wolf, was adapted for film, which won an Oscar for Best Live Action Short Film at the 1996 Academy Awards. He also wrote two collections of poetry, three baseball plays, and several works of non-fiction, including an account of the career of baseball’s Ichiro Suzuki, published only in Japanese, and a biography of Cree painter Allan Sapp, of whom Bill was an early collector and admirer. William Patrick Kinsella was born in Edmonton, Alberta, in 1935. Though he had been writing since he was a child, winning a YMCA contest at age fourteen, he began taking writing courses at the University of Victoria in 1970, receiving his bachelor of arts in creative writing in 1974. In 1978 he earned a master of fine arts in English through the Iowa Writers’ Workshop at the University of Iowa. Before becoming a professional author, he was a professor of English at the University of Calgary. Shoeless Joe won the Canadian Authors Association Prize, the Alberta Achievement Award, the Books in Canada First Novel Award, and the Houghton Mifflin Literary Fellowship. Bill won the Leacock Award in 1987 and in 1993 was made an Officer of the Order of Canada. In 2005, he was awarded the Order of British Columbia, and in 2009, he was awarded the George Woodcock Lifetime Achievement Award. Kinsella was presented with honorary degrees from Laurentian University, University of Victoria, and the Open Learning Institute.